I’m currently researching my paternal grandmother‘s family, the Coakleys. I came upon a very sad story today. 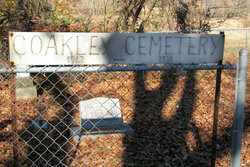 As I was searching through the names of the people buried in the George Coakley Cemetery in Summersville, Kentucky I came upon Dr. Samuel D. Coakley’s name as well as the names of his two children. Samuel D. Coakley is my 1st cousin 4X removed. He lived from 1855 to 1897 in Green County, Kentucky and married Nancy V. Ingram. She doesn’t appear to be buried in this cemetery. 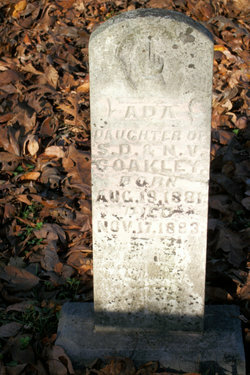 The two children were: Infant Coakley, who was born and died on 16 Oct 1879 and Ada Coakley, born two years later, who lived two years and three months. I can imagine after the terrible death of their first baby how much they must have enjoyed lavishing love on the next blessing to come their way. I’m sure they had great plans for her life as well as plans for numerous other children as was the custom of those days. I cannot even imagine their grief when she too passed on, entirely too young. They never had any other children. 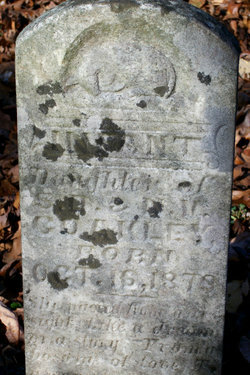 This entry was posted in Coakley and tagged Ada Coakley, Dr. Samuel D. Coakley, George Coakley, George Coakley Cemetery, Green County, Infant Coakley, Kentucky, Rene Baron, Samuel D Coakley, Sylvia Rene Stevens. Bookmark the permalink.